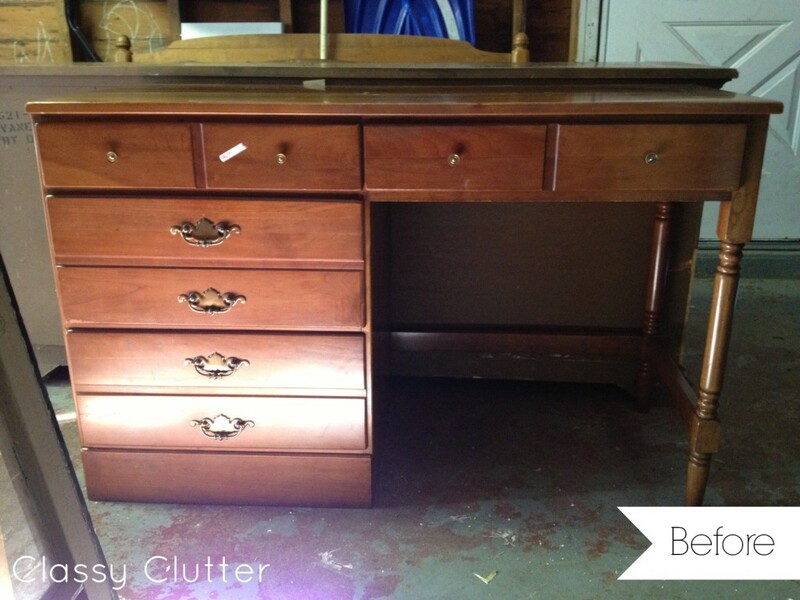 I found this adorable desk at a yard sale in the cutest little neighborhood. I loved the lines and simplicity with the detailed legs. I thought it had awesome potential and boy, was I right! I sanded it down, primed it with Kilz Latex. This was the first time I used primer with my HVLP gun and I’m hooked! It worked soooo well and left a smooth beautiful surface to paint! Hooray! 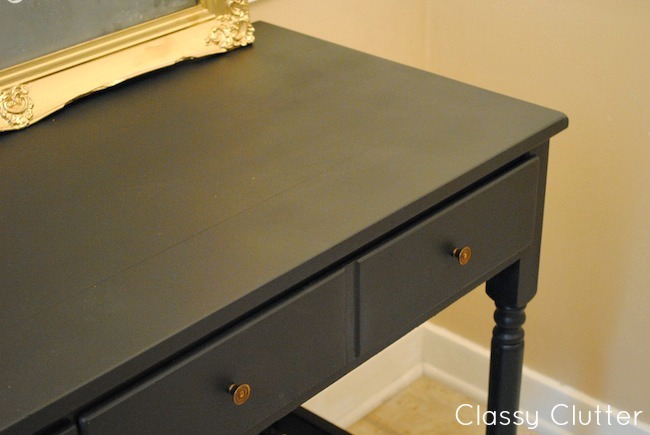 Then, I have it a coat of Glidden Onyx Black in Semi Gloss. 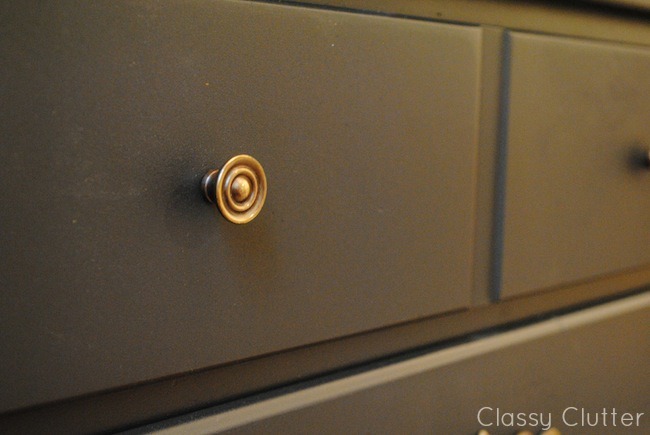 I cleaned the knobs and pulls and left them original because I really liked the contrast of the brass and black. Very Pottery Barn-esque don’t ya think!? After I sprayed a couple coats, I waxed it with Minwax Paste Finishing Wax. I love that stuff. It leaves the smoothest finish! 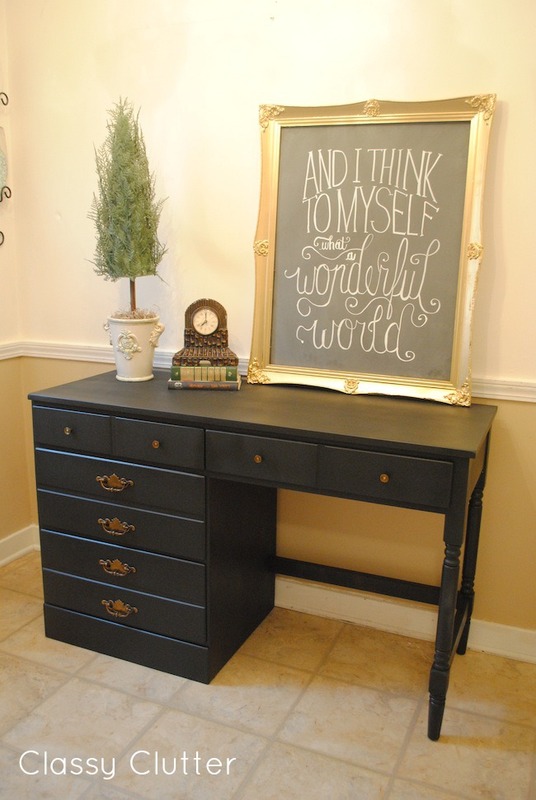 I put it up for sale but my good friend, Kate snatched it up for her office area in her salon! It looks perfect in there! What do you think!? 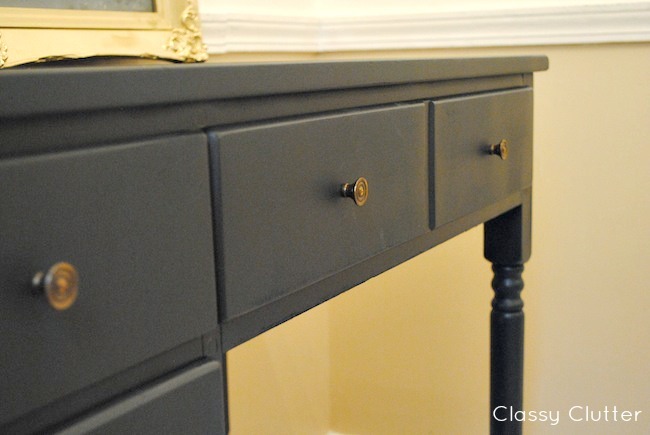 I really love bright, fun, colorful furniture but there is something special about a classic black piece. Don’t you think? If you liked this, please consider pinning it and sharing it with your friends! The black was a stunning color choice! This turned out really cute! I love the frame that you sat on it! I love your black desk (saw it on Tater Tots & Jello). I have a piece I’m thinking about painting black, so I had to take a closer look. Thank you for the inspiration. Looks great and that art print really is the icing on the cake! An oldie but a goodie! Love the choice of black. It made it so classy!